According to an analyst, Apple will create a much cheaper variant of the iPhone, for the parts of the world that don’t want to pay $500 on top of contact for an iPhone, like China. We suspect that this move will also be to stop the growth of Samsung and other Android partners who are gaining a lot of sales with their smartphones. The Nexus 4 is a clear example of a company achieving a great phone, without the large price. If Apple bring a phone out that is just as good as the iPhone 5 when the iPhone 6 comes out, for a very cheap and affordable price, it may hit the markets and spread like wildfire. Apple is one of those brands that can be bragged about and many people only buy an iPhone, Mac or iPad on the basis that it is an Apple product. They don’t look for any other devices at the same price level that could be better, because they would rather have the Apple logo on their device. This brand has been established for Apple’s somewhat high pricing, the iMac being $1,500 and the MacBook’s pretty much the same. The iPad Mini was the first device to really be priced under what Apple would normally price a device, even though it was still seen as a bit pricey compared to the Nexus 7 and Kindle Fire HD, the rivals. We have already wrote about the possibility of Apple releasing two different sizes for the next iPhone, on top of a range of different colours. Apple have to go against the competition, and like the Galaxy S and Note, they could do that by having two different sizes. 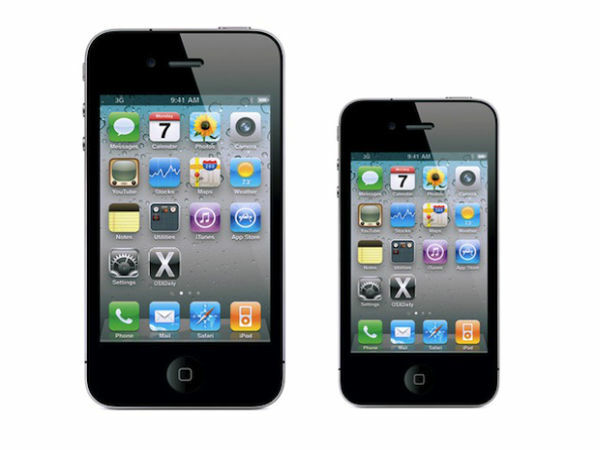 We suspect that Apple will not drop their phone under four inches, so the ‘iPhone Mini’ may be the same size as the iPhone 5 is right now. The other edition may be 4.5 or 5-inches, depending on how big Apple are thinking of going.